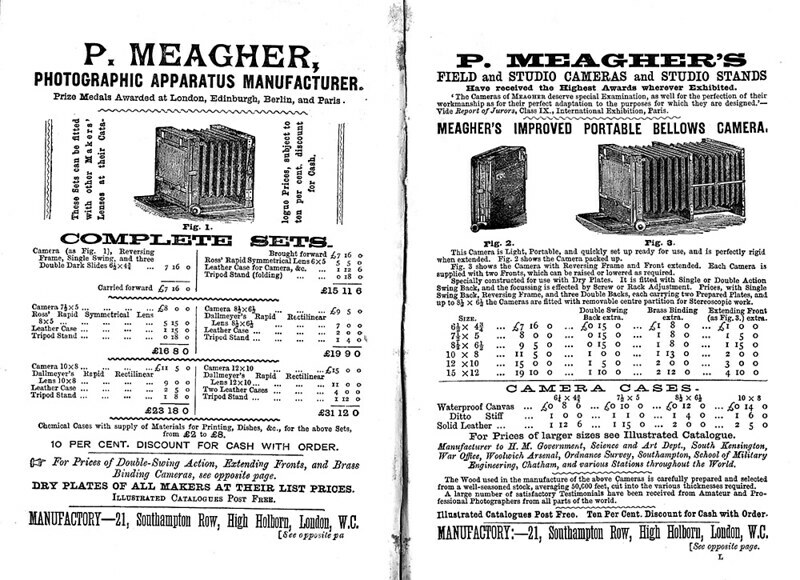 P. Meagher was a London camera-maker. McKeown lists two wet-plate cameras from 1860, also a tailboard and a stereo from the 1870s. ↑ McKeown, James M. and Joan C. McKeown's Price Guide to Antique and Classic Cameras, 12th Edition, 2005-2006. USA, Centennial Photo Service, 2004. ISBN 0-931838-40-1 (hardcover). ISBN 0-931838-41-X (softcover). Page 655. This page was last edited on 22 April 2013, at 06:34.